Was 2014 the best Tour of Britain ever? The toughest and best ever edition of the modern Tour of Britain: that was the verdict after this year’s race produced thrills and spills aplenty, and the GC battle went down to the final day. Garmin-Sharp’s first-year pro Dylan Van Baarle took the victory in London on Sunday after only moving into the Friends Life yellow jersey 24 hours earlier in Brighton. The 22-year-old Dutchman was one of six riders who led the race, and shared the podium with another former leader Michal Kwiatkowski (Omega Pharma-Quick Step) and defending champion Bradley Wiggins (Team Sky). Kwiatkowski, who is hotly-tipped to take the rainbow jersey in the world road race championships on September 28, believes the Tour of Britain was the perfect preparation for that event. “Every day it was tough. I think actually every stage was like the classics – it was up and down, and the racing was full gas to the end,” he said. This was Wiggins’s seventh appearance in the race, and he believes it was the hardest of all. “Six or seven years ago there were 130 and 140-kilometre stages,” he said. “This year we’ve had 200, 225 kilometres, and [then there’s] the way we’ve raced. 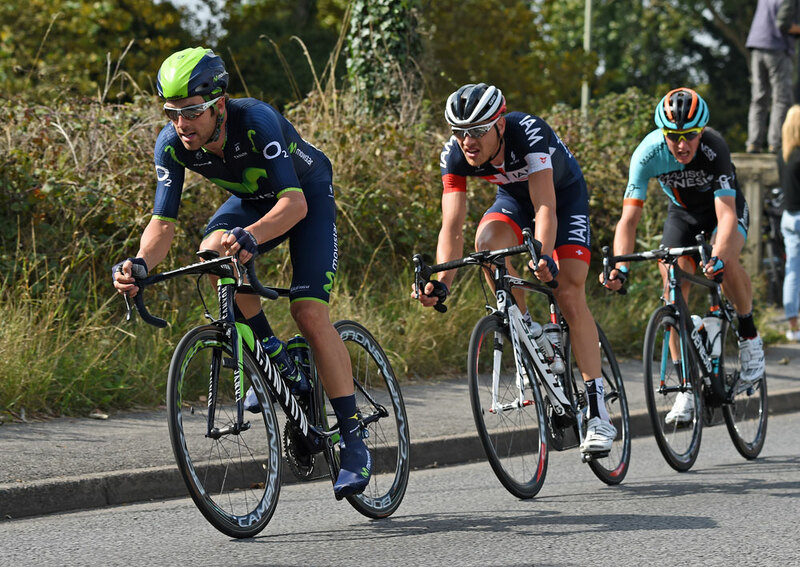 Alex Dowsett, who led the race for one day after an audacious breakaway attempt into Hemel Hempstead, thanked organiser SweetSpot for putting on a great race.